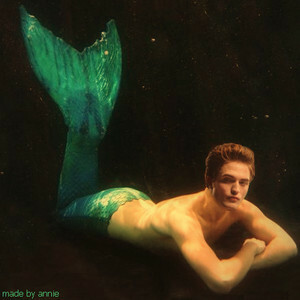 Vampire Merman from Forks. Just a funny picture I found :). Wallpaper and background images in the Critical Analysis of Twilight club tagged: twilight edward cullen funny vampire merman forks photoshop picture. That's more disturbing than the link. ^"Though many people believed Barnum's claim, the Fiji mermaid was actually the torso and head of a baby monkey sewn to the back half of a fish and covered in paper-mâché." I always thought he had the personality of a wet fish. he makes a hot fish!!!!!!!LOL!!!!!!!!!! I thought he looked like he had been facially eradicated with botox all through the first film I actually laughed at how pathetically moronic it was. Give me Spike from Buffy any day. Now thats a vamp who knows how to party! I LOVE HIM !!! HE'S SO CUTE AS A MERMAN!!! Get that merman-fairy-thing away from me! so that's why they can stay underwater so long!!!!!!!!! i should have known!